Oklahoma Connection | Hobbs came to serve as pastor of First Baptist Church in Oklahoma City, Oklahoma, in 1949. Herschel Hobbs preached to over 50 million people every week through 600 radio stations and short wave broadcasts to the most remote regions of the world – free of charge. Dr. Herschel Harold Hobbs was a native of Alabama and attended high school in Birmingham before taking his college work at Howard College (now Howard College of Arts and Sciences). He later received his masters and doctoral degrees from Southern Baptist Theological Seminary in Louisville, Kentucky. 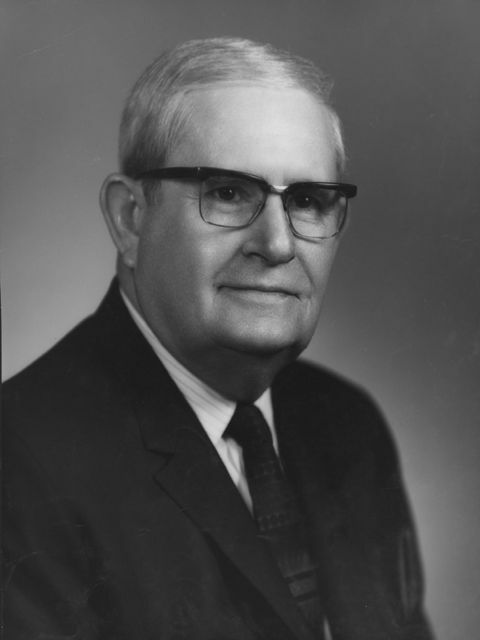 He began preaching when he was sixteen years old and after serving in pastorates in Alabama, Louisiana, and Kentucky he made his way to Oklahoma where he was pastor of First Baptist Church in Oklahoma City until his retirement in 1972. He was president of the Southern Baptist Convention from 1961-1963 and the author of more than 13 books. He was active in civic affairs in Oklahoma City and throughout the state of Oklahoma.